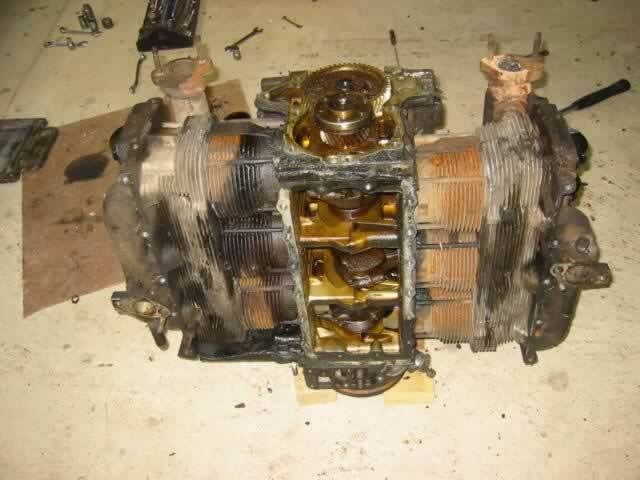 I planned on following Bernard’s example and use a converted Chevrolet Corvair engine. 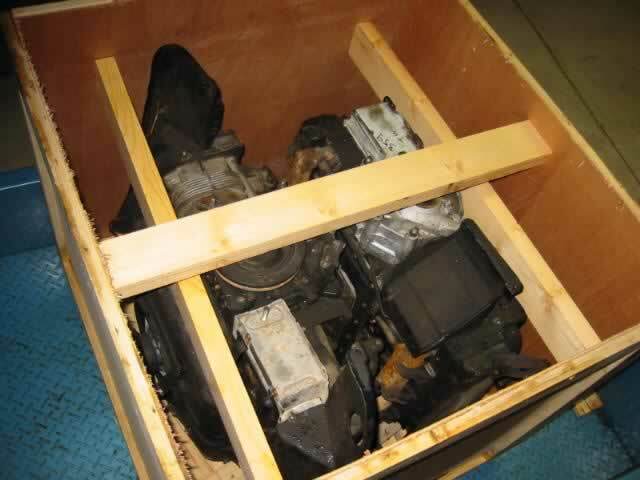 I ordered two engines from Larry’s Corvair Parts and had them shipped over to Australia. One was sent on to another builder in Queensland and I kept the other. 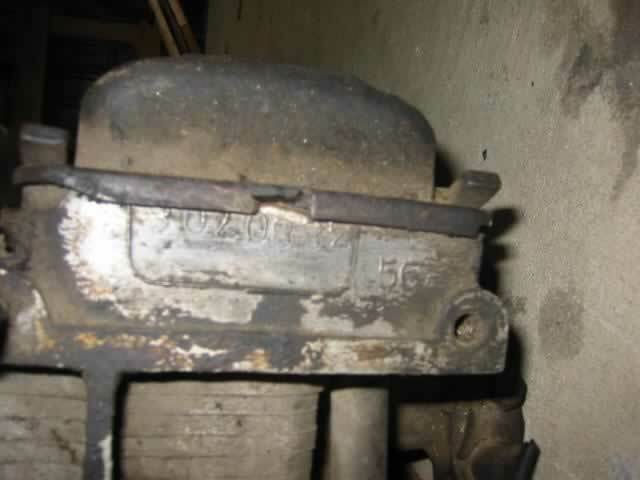 Head number shows a 95hp Smog Head, ugh! 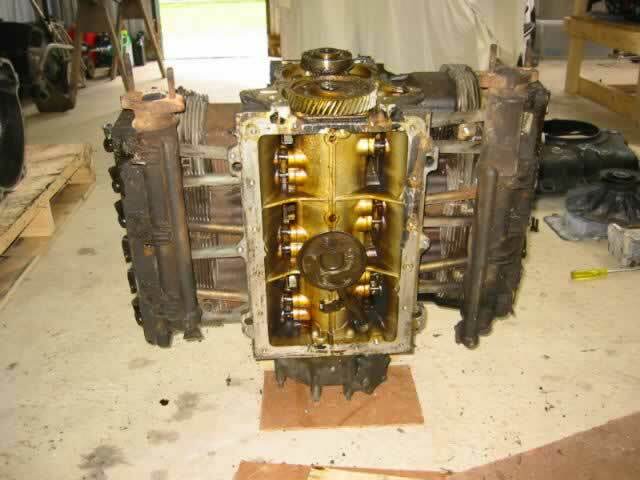 Sump removed showing overall condition, still not too bad. 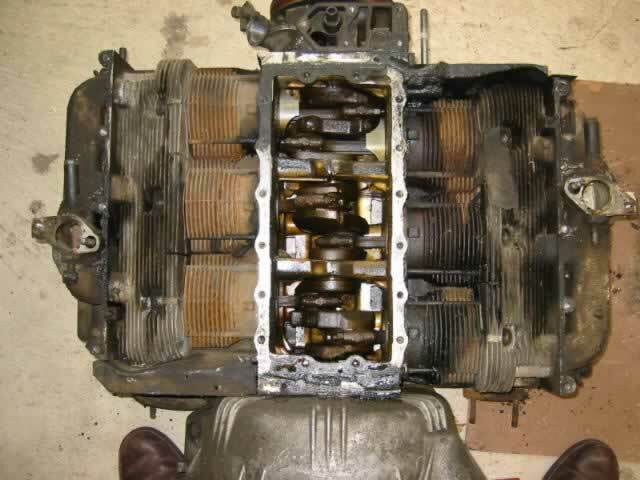 The cylinder head removal was very difficult. 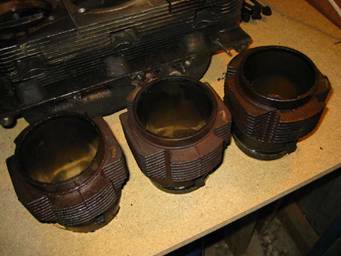 The cylinder head nuts were already rounded where somebody had tried removing the heads. No wonder they junked the engine. I had to grind away the nut and part of the stud to release some, others I had to cut the stud at the base of the cylinder. 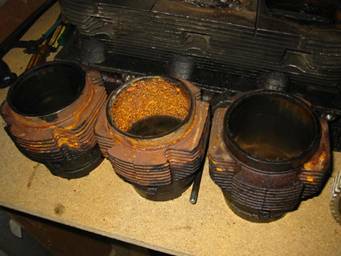 Only the bottom set of studs were the problem, the top set of studs have the benefit of lubrication from the rocker cover oil. 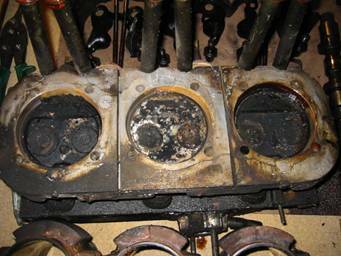 The first head was removed and found to be in pretty good shape, although one exhaust valve had a broken valve guide (the orange looking one on the right) and had damaged the valve seat. The exhaust stub was also rusted out. William Wynne recommends using 110hp high compression heads. This one is a 95hp low compression head but has the swirl chambers to help with turbulence in the head. Seemingly this helps to prevent unwanted detonation. …..now I know why it didn’t turn over!. 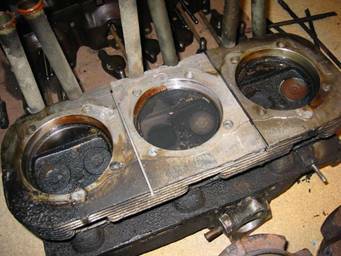 The cylinder had been full of water at sometime (even with spark plugs installed!!) 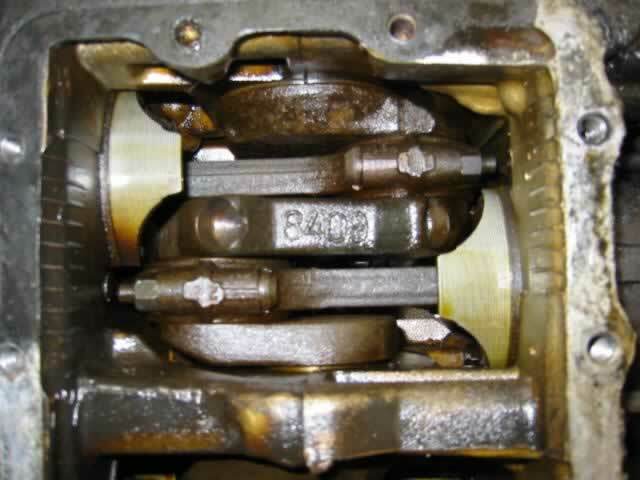 and had rusted the bore so much that the piston had nowhere to travel. 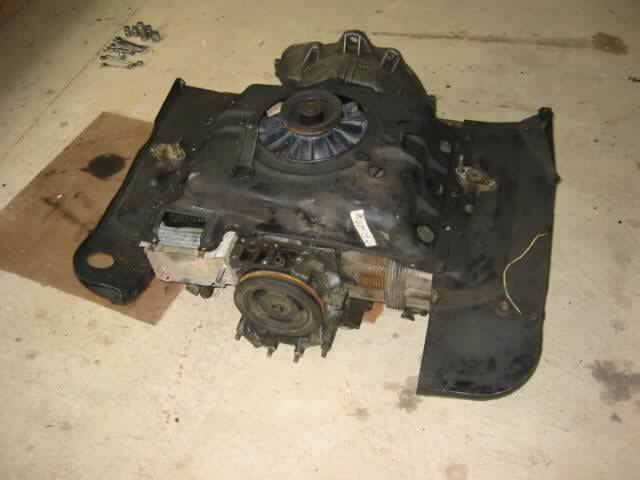 So now we have a rebuild to do!.